Normally, we think of rats as pests, or at best pets. 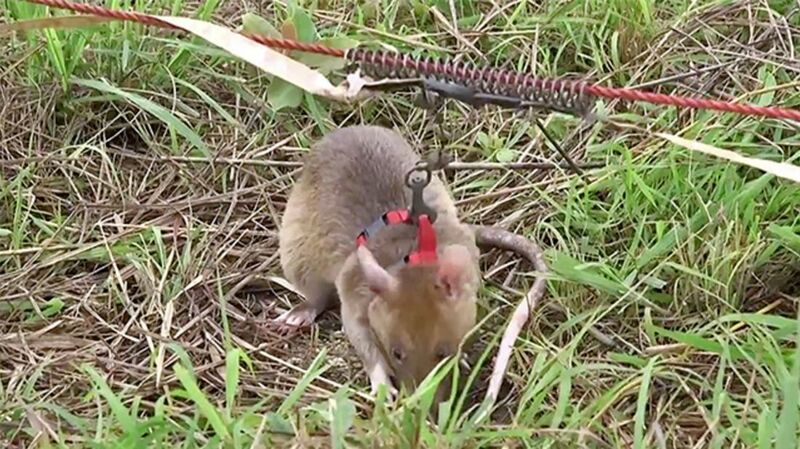 But the Gambian pouched rat is helping sniff out land mines in rural Angola. They're vastly more efficient than humans at the task, and "they work for bananas." Oh yeah, and their keen sense of smell also allows them to detect tuberculosis more quickly than lab tests (!). You can read more about the rats from The New York Times, including information about how you can sponsor these "hero rats."